The scheduled closure of the Forest Park-DeBaliviere MetroLink Station this weekend (April 25 & 26) has been cancelled due to postponement of the demolition of the DeBaliviere Bridge by the Loop Trolley Project. MetroLink passengers may experience brief delays tonight and this weekend as contractors continue other work on the Loop Trolley. 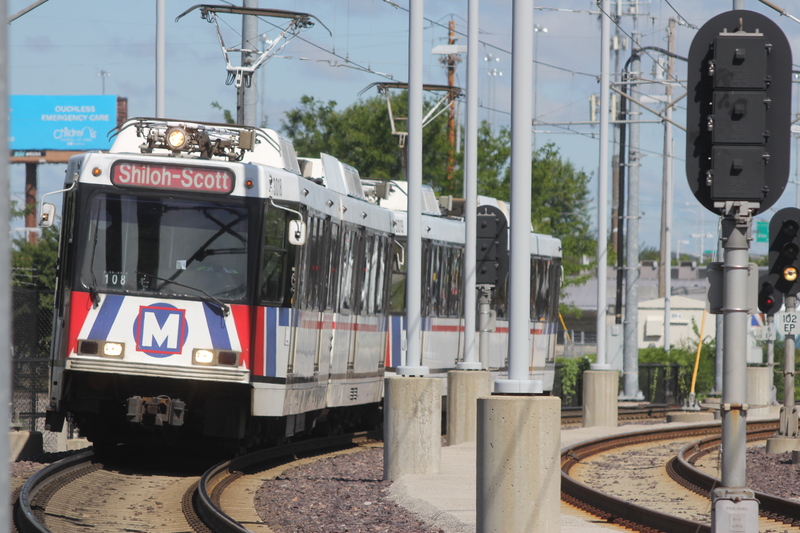 On Friday, Saturday and Sunday (April 24-26) from 8:00 p.m. until the end of service, MetroLink will operate on a single track at the Forest Park-DeBaliviere MetroLink Station. MetroLink passengers traveling in both directions will need to board MetroLink trains from the westbound side of the platform. Blue Line and Red Line customers may experience delays of 5 to 10 minutes. Updates on MetroLink operations can be found on our Rider Alert section.